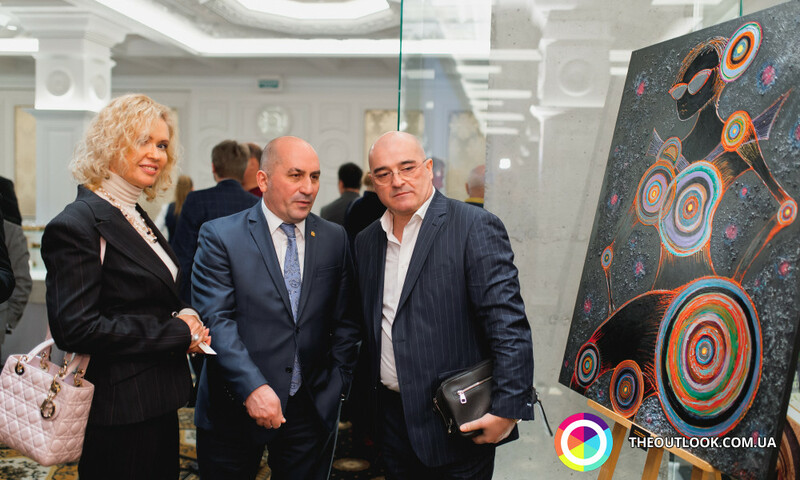 Guests were presented with a live performance by Maya Baratashvili’s jazz quartet and a new exhibition of paintings by Ambassador Gela Dumbadze "Kyiv. In Search of Lost Time". Extraordinary and Plenipotentiary Ambassadors of Indonesia, Moldova, Norway, the Netherlands, Palestine, Pakistan, Kazakhstan, Kuwait, Tajikistan, Hungary, Croatia, Minister of Education and Science of Ukraine Lilia Hrynevych, Deputy Minister of Youth and Sports of Ukraine Mykola Movchan, Director General of the State Planning Directorate Pavel Krivonos and others guests immersed the atmosphere of Georgian cultural diversity. 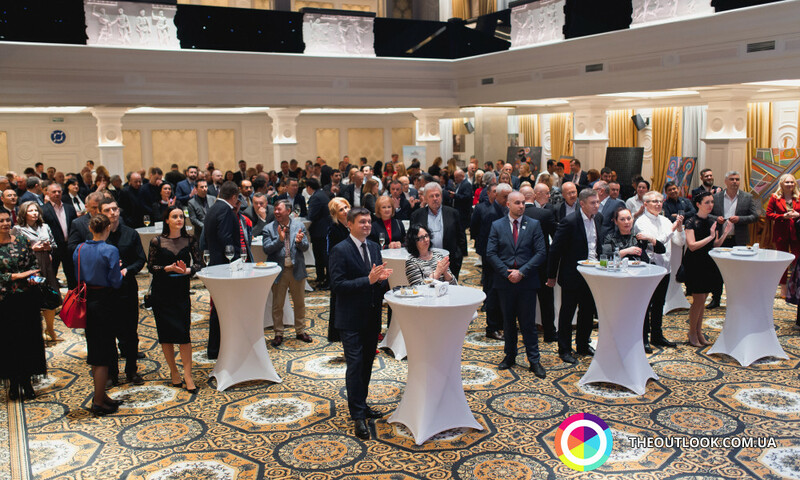 During the welcoming speech, the Ambassador of Georgia noted that the participants will be presented the magnificent Georgian culture through jazz, cuisine and painting. I called an exhibition of my paintings “In Search of Lost Time”. This collection, like the previous ones, I dedicate, of course, to Kyiv. I presented the first exhibition in this wonderful city seven years ago near Andrew’s Descent, it was called “Kyiv: Mystical Windows”. The second - at the Embassy of Georgia in Ukraine - "Kyiv: Acrylic Diary". This is the third. Pictures from this exhibition have been drawn in Kyiv in the last three months. You can say that I am half Ukrainian artist. Ukraine is very inspiring to me. Very! It was my choice to come to work here. I worked in four embassies of the world, and when it was the turn to determine, I chose the country which was the closest to my heart - Ukraine,” the Ambassador said. ... Gela Dumbadze's art is made in avant-garde style. Looking at his paintings, you can meet both Malevich and Picasso ... and you can also meet Gela Dumbadze. A picture of a classic type can be seen anywhere, but the pictures of Mr. Dumbadze are something unexpected, this is what our imagination paints, what we see every day, but we don’t have time to understand, embrace and realize how beautiful the world is," Fayzulla Holboboev noted in his speech. Gela Dumbadze defined the jazz band's performance as the main event of the evening: "Maya Baratashvili... I call her a Georgian maiden, a woman who made herself, she represents the international level of jazz. I respect and appreciate this performer. Let the music speak for itself." 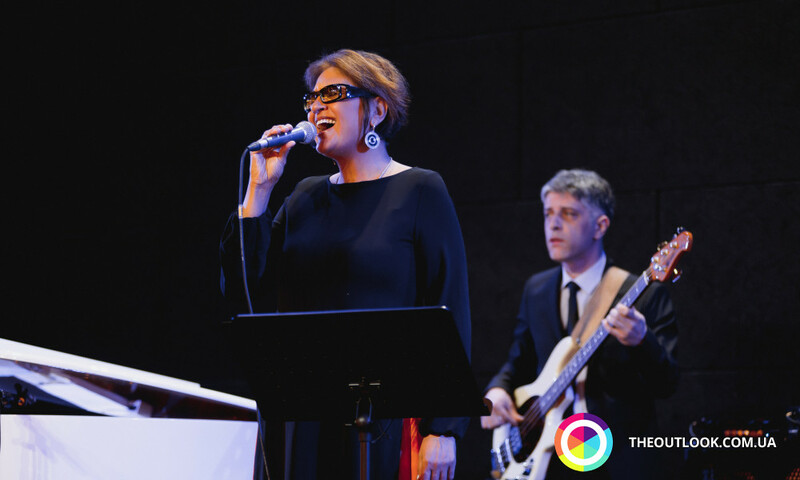 When three musicians appeared on the stage, three Georgies and the actual soloist - members of the quartet Maya Baratashvili - those who were in the hall stopped waiting, because everyone knew that jazz magic was in front of him. Maya is the owner of melodic, strong and luxurious vocals. Jazz in its performance sounds very elegant and gentle, and at the same time energetic. Georgian singer began practicing jazz in 1996. Since then, she has performed at international jazz festivals all over the world, so it’s very pleasant that she managed to find one day in the busy tour schedule to visit Kyiv. Maya Baratashvili is also a soloist with the Tbilisi variety orchestra at the Tbilisi Mayor’s Office since 1998. Evening with friends. These were the feelings. The exotic, mysterious and diversive culture of Georgia, the history of which goes back thousands of years, left no one indifferent, because it is successfully combined with modern trends and influences. This enables culture not only to retain its authentic features, but to become richer, receiving new directions, and sometimes a new life. Traditionally, Georgians believe that guests are a gift from heaven, therefore their cordiality and extraordinary courtesy instantly win the heart of anyone. It is truly one of the most unique and hospitable cultures in the world. The evening of jazz and art on April 11th is an example of this. Gela Dumbadze. He's born on June 13, 1965 in Tbilisi, Georgia. He received the education of a philologist, international analytics, he has been in diplomacy for more than 20 years, he served as the State Minister of Georgia for Diaspora Issues. He studied painting on his own. In June 2012, in Kyiv, in the Art Hall Gallery of the Foundation for the Advancement of the Arts, his first personal exhibition "Kyiv. Mystical Windows" was held. On November 13, 2018 in Kyiv, his second personal exhibition "Kyiv. Acrylic diary" opened. Today his works are shown in the prestigious Georgian gallery "Art Gallery Line" and are kept in private collections in many countries of the world. He is the author of literary collections "Yellow Trolley Bus", "I Love Apple", "I am a Runner" (the translation of this book into Ukrainian was presented during the International Book Arsenal Festival - 2018). His plays are staged in Georgia, Ukraine and the Republic of Azerbaijan. He is the winner of three international literary contests.